Bayer was caught in a lie regarding its “permanent” birth control device Essure by a Louisiana law firm, LegalReader reported. July 18, 2016 — San Diego, CA. Bayer was caught in a lie regarding its “permanent” birth control device Essure by a Louisiana law firm, LegalReader reported in May. New Orleans-based Unglesby + Williams said it discovered evidence proving Bayer knew the number of unwanted pregnancies after the Essure device was implanted was about one-third higher than what was actually reported to the FDA. The NOLA law firm hired independent investigator Madris Tomes, a former FDA employee, who meticulously searched the federal agency’s MAUDE database for reports of unwanted pregnancy following Essure implantation. The FDA’s Manufacturer and User Facility Device Experience, or MAUDE, database allows patients, doctors and manufacturers to report problems with medical devices and drugs. Tomes specializes in searching the notoriously convoluted database where she has found discrepancies between what FDA investigations claim and what is actually reported in the database. Back in February 2016, Tomes reportedly found that 303 cases of fetal death were actually reported to the FDA, after the FDA’s own investigation had uncovered only 5. About three months later, Tomes uncovered another discrepancy. After combing through all the reports of unwanted pregnancies that occurred after Essure implantation, Tomes discovered that Bayer had seriously underreported the number of unwanted pregnancies to the FDA – by as much as one-third. How did she know? One document out of thousands that had been redacted by Bayer before being submitted to the FDA stated the company had searched its own internal database on March 10, 2015 and found 2,028 reports of unwanted pregnancies. About six months after Bayer conducted its search, it participated in a September 2015 hearing regarding Essure. At the hearing, the FDA said 748 unwanted pregnancies had been reported, either to the FDA through MAUDE or published in scientific literature. That is a far cry from the 2,028 reports Bayer found in its own database. Bayer has a legal obligation to report all adverse events to the federal agency within one month of receiving them. This report shows the pharmaceutical giant has not been following the rules. It also highlights the fact that the permanent sterilization device is not so permanent after all. “Our findings underscore a sobering fact: Bayer has known Essure was not as effective as it continues to claim. Even though Bayer had counted more than 2,000 cases of reported pregnancies in women while using its birth control device, somehow only one third of those reports made it to the FDA,” Lance Unglesby, partner with Unglesby + Williams, told LegalReader. “It’s time we hold Bayer and big pharmaceutical companies accountable for faulty products, lax reporting methods, and in some cases systemic cover-ups and misleading information. Patients put their trust in these companies, and they deserve justice when that trust is broken—and people are seriously injured,” added Unglesby. 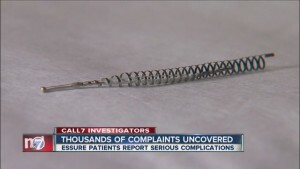 Women who were harmed by Bayer’s Essure permanent sterilization device are filing lawsuits against the Big Pharma company. If you or a loved one were harmed after using Essure, you may have legal options to help you recoup the damages caused by the device. 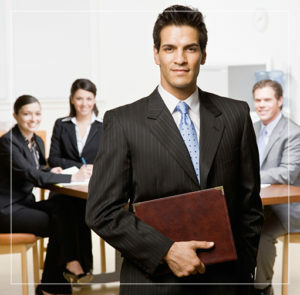 Call the Hood National Law Group today at 1-800-214-1010 to learn more about your legal options.